The bar landscape in Oklahoma City is fairly varied. There are a number of boisterous clubs, several quaint lounges and, of course, plenty of popular chains such as Buffalo Wild Wings. But if you're looking for a fun and/or relaxing place to have a drink or watch the big game on a big TV, check out one of the metro's better local sports bars. Located in Classen Curve, Republic Gastropub is easily one of the best places in OKC to watch a game. The televisions are plentiful, the beer selection is vast, and the food choices are far more unique than you'll find at most pubs. McNellie's is not a typical sports bar, of course. If you're looking for big televisions playing all the games around the country, this is not the place for you. But it's such a unique, cool spot in Oklahoma City. The historic Plaza Court building is the location for this Irish Brew Pub with one of the best beer selections around. The food is extremely good, from the relatively common (artichoke dip, hamburgers) to the specialty items (sweet potato fries, potato leek soup), and pints are cheap. As a comfortable sports bar and casual pub, Bricktown Brewery is one of the better spots in the metro. 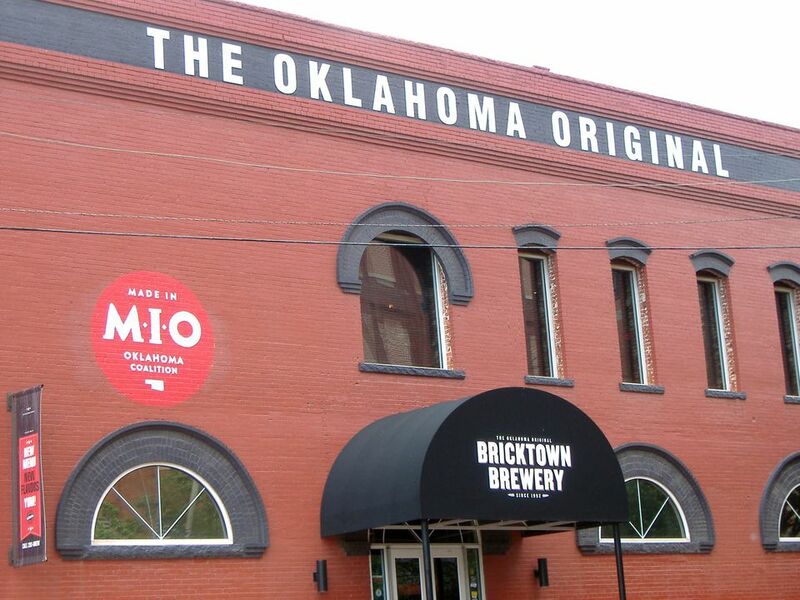 You'll find a good beer selection in a great Bricktown location, OKC's leading entertainment district. Maybe relaxing isn't quite the best word for O'Connell's, located in Norman. But there might not be a more exciting place to watch an OU football game. It frequently can be a college-town atmosphere, of course, particularly on game day or St. Patrick's Day, so be prepared. Henry Hudson's is a fun and friendly neighborhood bar. The place is spacious and accommodating. You'll find a larger, and pretty decent, food selection than at other places. Plus, there are multiple, convenient locations all around the metro. Part of the Hal Smith Restaurant Group, the locals behind place such as Mahogany Prime Steakhouse and Charleston's, The Garage is known for their hamburgers, but it's also an excellent place to watch a game. In particular, I love the vibe of the Midtown location, but there are also locations on I-240, near the Outlet Shoppes and in surrounding communities Edmond, Del City, Moore, and Norman. Located in Oklahoma City's Deep Deuce area downtown, Urban Johnnie's is a cool concept from the folks behind the OKC staple Johnnie's Charcoal Broiler. The food is good, the place is wide open and comfortable, and the televisions are everywhere. Soccer fans rejoice. With a location in Edmond and the cozy OKC original in Bricktown, Skinny Slim's is the place to be for a large beer list, soccer matches from all around the world, and a friendly atmosphere. Like The Garage and Louie's, Pub W is part of the Hal Smith Group. With two OKC locations and one in Norman, it's a little more elevated in terms of food choices but still casual in atmosphere. In addition to the staples such as burgers and nachos, you can get baked salmon, a filet, or a unique cocktail. Though most don't have the view of the popular Lake Hefner location, Louie's, a comfortable place to grab a drink, is all around OKC, so there's always one nearby. In addition to making a pretty good pizza, they have a number of cocktail options and shareable snacks such as fried pickles, chips and salsa, pretzels, and nachos.